Do you believe that such things as Psychic readings do exist or it’s just a matter of guesswork? Well, while different people have various opinions on this area, we cannot make a blanket judgment. In fact, most things are indeed, true though it does not mean that we are ruling out the possibility of some people pretending to be Psychics when they are not. Psychic abilities vary because some sharpen theirs, so they do better than others. To help you get a deep insight into this interesting area, here are truths about Psychic readings. All occupations have scammers and when we say that psychic readers are all scammers. The truth is that most of them do strive to provide valuable services with the intention of helping and not deceiving. It’s only those vulnerable and desperate individuals who fall prey to a few scammers, and they have to face such situations because they fail to take responsibility for own lives. 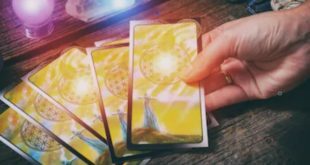 To avoid falling into the hands of scam readers, you need to be in charge of your life, and you’ll never be at the center of any deception whether in the area of psychic reading or any other. Remember that there are scamming doctors, lawyers, IT professionals and many others out there to drive you into a center of the crisis. Indeed, scamming is a disaster, and you won’t love it when it finds you, or you become a victim of it in any field or way. The effects are not only discoursing but also destructive. It’s true that every psychic is a reader but not every reader is a psychic. A psychic just sees senses beyond the level of an average person, but a reader is someone knowledgeable about ancient tools (scientific) and can interpret without necessarily lying or exaggerating in any way. It’s different from analysis or creativity. So when people tell you that all readers are psychics then get it right that it’s not true since the art of interpretation or reading is different from foreseeing or other activities that psychics do. They, however, both connect to universal mind to the information they need and with the help of their special abilities interpret it. Well, there is a wrong belief that psychics tell people shocking or unfortunate occurrences. The truth is that just like other professionals especially those who work areas related to it such as medicine, psychics follow a code of ethics, and they won’t tell you such things recklessly. In most cases, they consider whether or not their reading will help you or not. If you do not benefit then, they cannot tell you. But if it’s just a situation that’s tough and there is a way out, they will interpret it to you with the intention of finding a way out. Psychic readings can be confusing if you do not have the facts. You, therefore, need to find out the truth and with the above, you are in fact, safe and won’t be a victim of any issue unless you are not careful. If you have a question and you want guidance then visit our Forum and get answers to solve your challenges for free. Pingback: Is Psychic Reading Real or Is It Just a Mind Game? !